A bizarre $18 bln buyout of its memory unit keeps voting control in Japan, while customers and rivals from Apple to SK Hynix provide cash. The deal could also be re-cut thanks to a spat with JV partner Western Digital. The confusion means the risk of a Toshiba delisting persists. 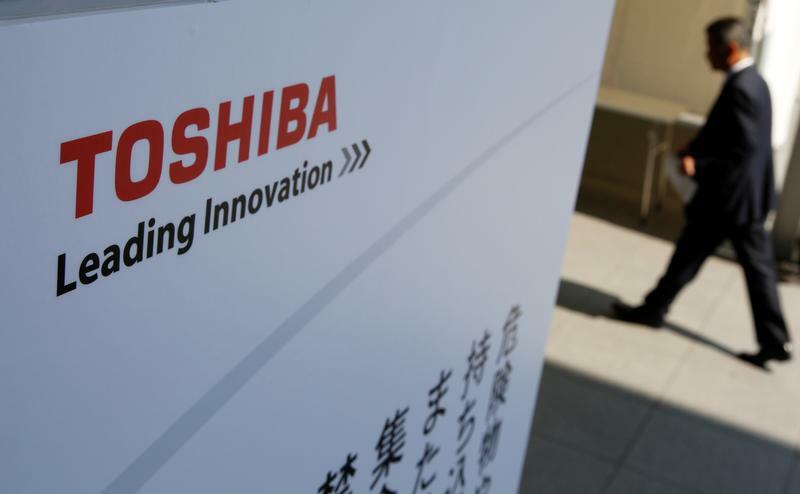 Toshiba said on Sept. 28 it had signed a 2 trillion yen ($18 billion) agreement to sell subsidiary Toshiba Memory Corp to a consortium led by buyout firm Bain Capital, after months of negotiations with various bidders. Toshiba and local partner Hoya will together own more than 50 percent of the common stock in the flash-memory unit, with the duo contributing 350.5 billion yen and 27 billion yen respectively. Bain will contribute 212 billion yen in funding, while SK Hynix of South Korea will provide 395 billion yen. U.S. investors Apple, Kingston Technology, Seagate Technology, and Dell Technologies will provide a total of 415.5 billion yen, while the bidding vehicle plans to borrow 600 billion yen from banks and financial institutions. Toshiba said SK Hynix would be “firewalled from accessing TMC proprietary information” and would not be allowed to own more than 15 percent of the voting rights in the unit, or the buyout vehicle, for 10 years.